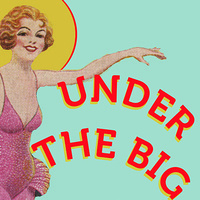 "Under the Big Top" explores circuses, vaudeville troupes, and other traveling tent shows in the United States in their heyday, from the 1820s to 1930s. It considers the technology that made modern traveling shows possible, as well as the cultural and economic factors that made them popular. Original posters, flyers, and advertisements highlight the circus as a pioneer of mass marketing techniques and demonstrate the ways in which this live entertainment shaped understandings of race, gender, popular science and concepts about animal rights. Original artifacts, photographs, and other ephemera invite visitors to inhabit this lost world of entertainment. This exhibit is on display in the Hargrett Libary Gallery through July 5. The Special Collections Building is open from 8 a.m. to 5 p.m. Monday through Friday and on Saturdays from 1-5 p.m. For information about scheduling group tours, call 706-542-8079.